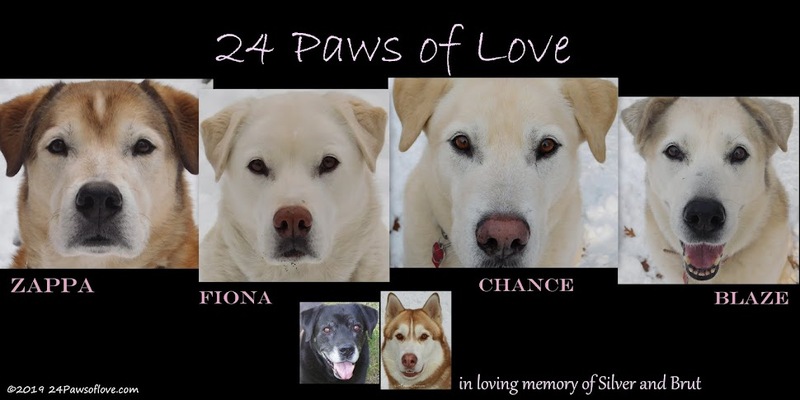 The story of eleven canines and the secrets they keep. I'm a tough egg to crack when it comes to humor. I normally don't read it. So when comedian/actor Steve Martin quoted on the cover, that made me curious enough to check it out. I was sorely disappointed. I found Things Your Dog Doesn't Want You To Know, a rather generic version of dogs being too human in explaining their own stories. I found myself rather bored with the stereo typing of the different breeds or the conditions they were in and struggled to get through the book. I also had a difficult time making a personal connection to any of the dogs, except for maybe Sarge, the working German Sheperd who went from job to job trying to do the best job he could. I appreciated the intelligence that was given to the breed and his strong work ethic that I could understand with my own dogs..
All in all we give Things Your Dog Doesn't Want You To Know 5 paws up out of 24. I know others enjoyed it and found it a good read, but it just wasn't my type of dog book. Different strokes for different folks. Always a tough one when it doesn't strike a cord. Have a terrific Thursday. Even though it wasn't your cup of tea, I appreciate that you were on the tour! I love living in a world where we're all so different. I was reluctant to review this book because I'm also not into this kind of humor. But I really liked the book. 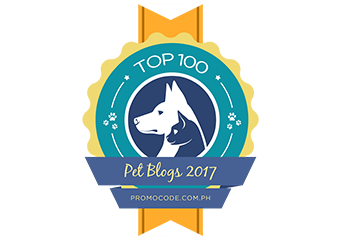 It had all kinds of little underlying messages about what dogs are really like that I found interesting--dogs don't understand English, they deserve better than to be treated like toys, what's good for us isn't necessarily good for them. Those messages are so much a part of who you are and how you see dogs that it probably didn't impress you much. But I hope some of the humor will sneak something positive into other readers. I happen to be reading a dog book right now. It's called Solider Dogs: The Untold Story of America's Canine Heroes. Great book! I bet you'd love it. I'm only about 75 pages in now but I'm hooked! 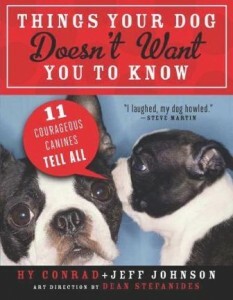 Thanks so much for reviewing our new book ("Things Your Dog Doesn't Want You to Know.") I'm sorry it wasn't your kind of book -- but I certainly appreciate your support and comments.